Take the ride, pay the toll! Diane Kruger is back as a complex detective solving cases along the tense U.S. - Mexico border in Season 2 of FX's crime thriller The Bridge. 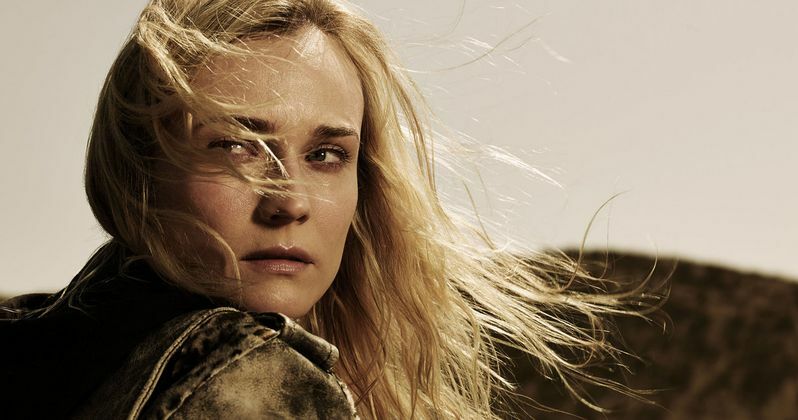 With new episodes debuting every Wednesday night, we caught up with Diane Kruger at the midway point for a look at all the surprises left ahead of us this year. There are only two episodes left before the big season finale on October first, starting with Eidolon tonight! Hank is wounded and missing, as Sonya and Eleanor gear-up for a head-on collision. Find out what's in store as this intense run of episodes gears up for it's epic climax! This season, Sonya has meets an unexpected man with connections to her past who threatens to come between her and her boss, Lieutenant Hank Wade. The case quickly pulls them all into a complex web of money laundering, police corruption, and the Juarez Drug War which infiltrates the suburban streets of El Paso. The Bridge is a crime thriller starring Diane Kruger, Demián Bichir, Matthew Lillard, Emily Rios, Thomas M. Wright and Ted Levine. When the body of a cartel member is found on US soil, Sonya Cross from El Paso PD and her Mexican counterpart, Marco Ruiz, must work together to solve the case. Marco, still reeling from the death of his son, continues to deal with corrupt cops and the demands of the cartel.